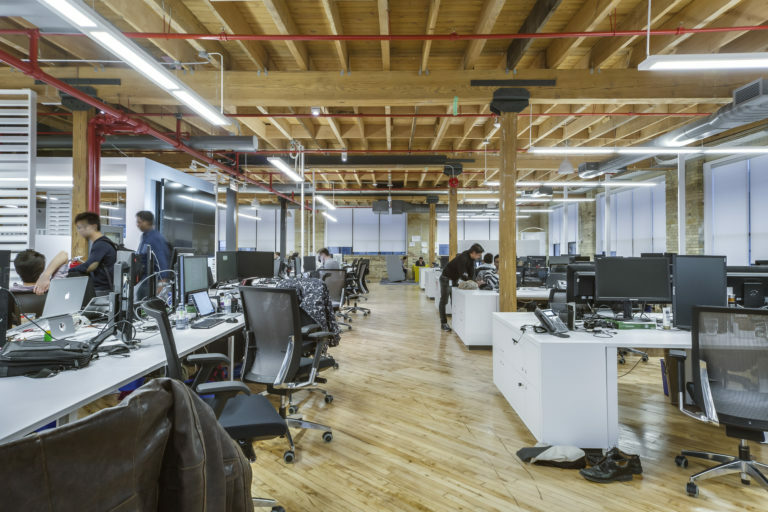 Turner Fleischer was hired to design and build this start-up style office in Liberty Village for the digital office of Loblaw Properties Limited. This office has been designed to be used by young professionals from the high-tech community. By using a concept of open work stations, where work spaces are not assigned, the design increases collaboration in the work space. 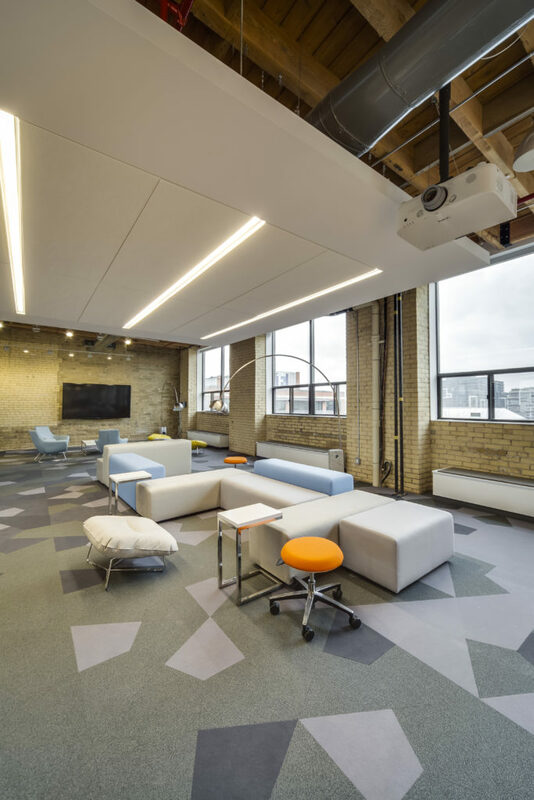 Turner Fleischer’s challenge was to transform an oddly shaped building, with a tight column grid, low ceiling and uneven floors, to a flexible and fun environment. 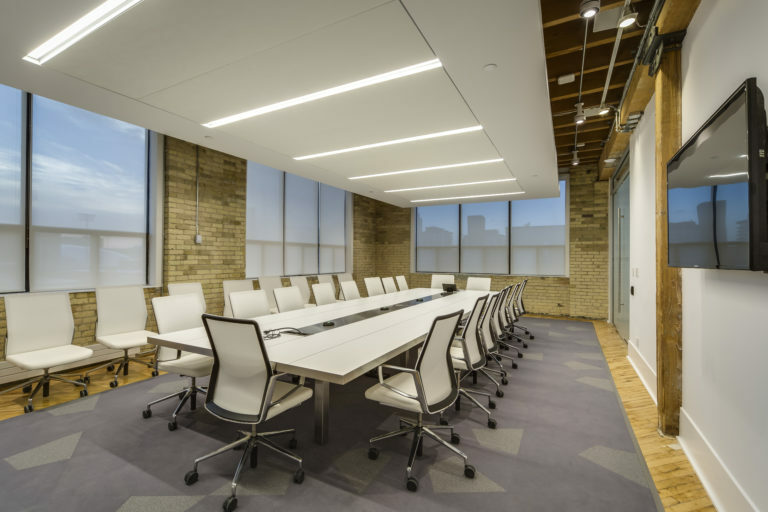 The designers played with glass, lighting and pops of color in furniture to create the best digital place for Loblaw’s best dynamic minds. The non-repetitive furniture solutions and custom millwork bring a unique touch to this engaging office.